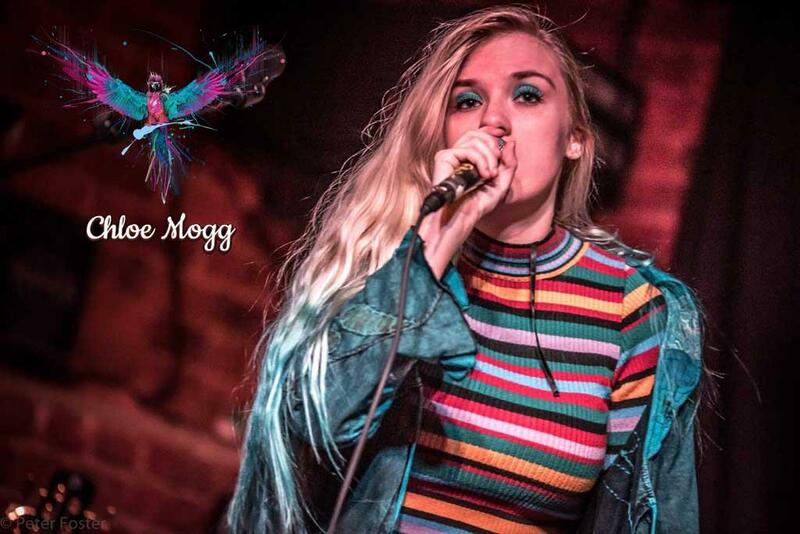 Delivering a mixture of musical influences, Chloe Mogg creates a musical journey with her songs and own arrangements of covers. As a young singer-songwriter with 'parrot' hair, she brings life and colour to her performances. Known for her quirkiness and smile, she haunts the audience with her ability to tell a story with only her voice, acoustic guitar, 'strange' effects and even sometimes a bass guitar.